I actually finished a project just in time for the cooler weather! 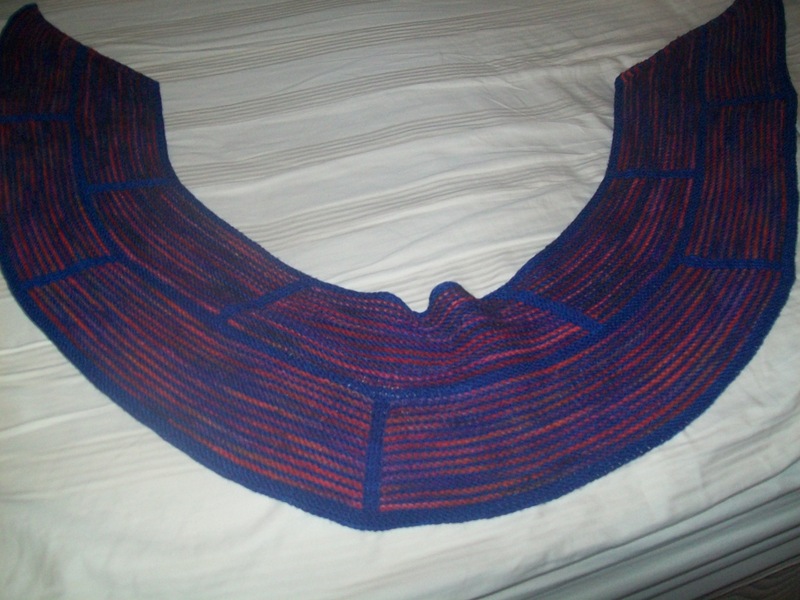 This is the second Clockwork that I’ve knit, I gave the first one away to my Mom. 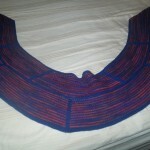 I really like the open circle shape of this scarf. I made it with 4 balls of koigu. 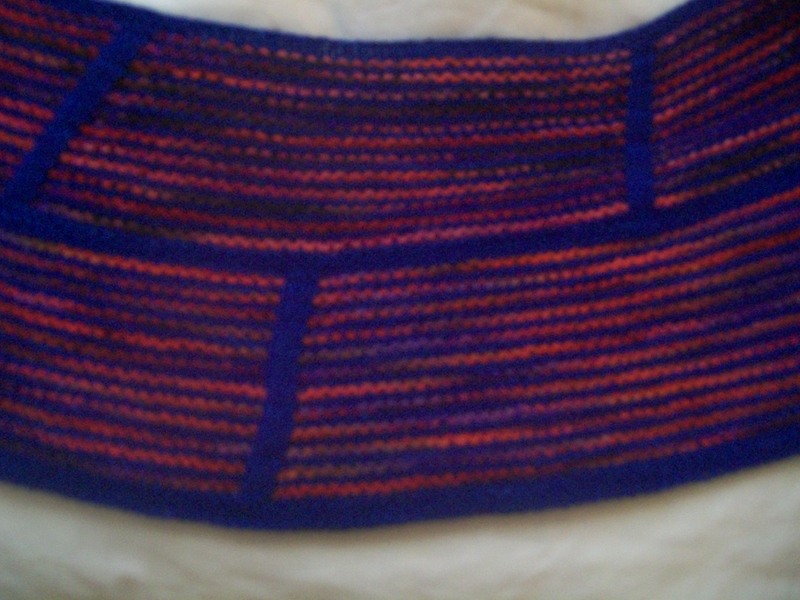 I had the multicolored red and purple yarn in my stash and thought the bright blue would go with it well. I tend to go through waves with yarn brand obsession. 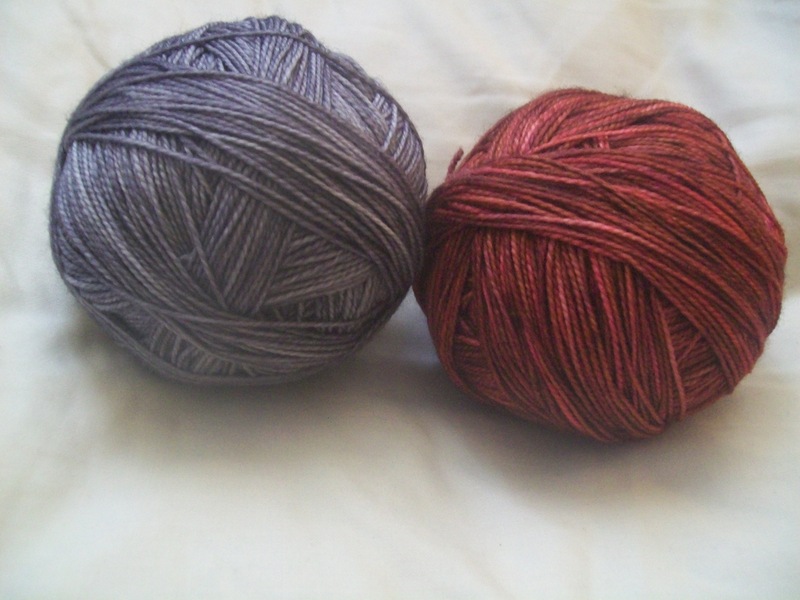 Right now I think I would be happy if I was limited to buying Madelinetosh and Wollmeise for the rest of my life, but I went through a major Koigu phase when I first started knitting. So I was happy when I realized that I had the reddish Koigu when I thought about making another Clockwork for myself. Here is my next project, I haven’t cast on yet. 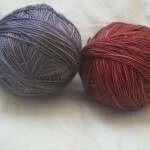 Madelinetosh sock in Byzantine and Tern is going to be used for…. 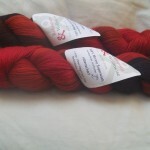 And not surprisingly a leetle bit more Wollmeise somehow made it into my house recently. A nice purple, ein klein wenig verrucht, and 2 skeins of rattenscharf. 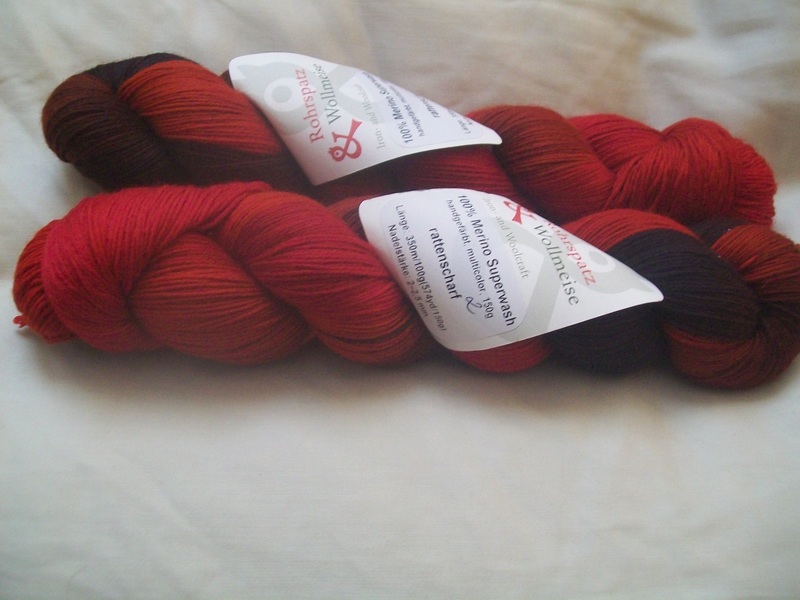 I might have a tiny bit of a problem with getting too many skeins of reddish Wollmeise, but it is just too vibrant to pass up. 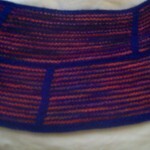 This entry was posted in knits on 11/4/2011 by Anna.